Cappuccino vs Latte: Both Use Espresso, So What's The Difference? How many drinks can you make by mixing steamed milk, foam, and espresso? More than you’d think. 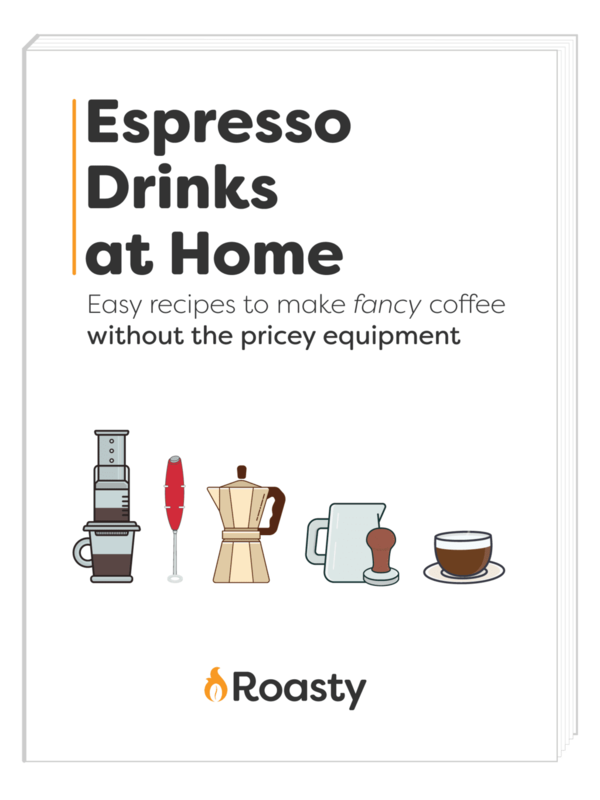 Think flat whites, Americanos, macchiatos, cappuccinos, lattes, and more. Today we’re comparing two that seem nearly identical: the cappuccino and the latte. Okay, while any expert-level coffee fiend would gape at the idea of someone saying these two drinks are the same thing, for the average Joe, they can be hard to differentiate. But for those who’ve got it figured out, there’s a pretty harsh split between those who are team cappuccino and those who are team latte. So, kudos to you for trying to navigate this nitty-gritty aspect of coffee making. Don’t worry though, we’re going to help you out. To assist in your endeavor to pick a team, we’ve put together this easy comparison, so you can know what you’re ordering next time you’re at the local coffee shop. Don’t pull your hair out just yet. Yes, these two Italian drinks both use a mix of espresso, steamed milk, and foam. But we promise there are some important differences that you should know about; we’ll cover those (like Waffle House hashbrowns) later. But because the ingredients are pretty easy, you can make either of these at home with a little practice, using an espresso machine or a little ingenuity. Both of these drinks are also pretty versatile and pair well with various added flavors. As we mentioned, these are both Italian drinks. The cappuccino was born alongside the original hype of espresso and evolved into the drink we know today during the World Wars. It ultimately arrived in Europe and the Americas around 1980. Now, they are very structure-oriented drinks, usually served in squat, 6 oz glass or ceramic cups. That structure is truly their defining feature. Split evenly in thirds, you can almost feel the quality of a cappuccino by its weight. Ideally, it should be 1/3 espresso, under 1/3 steamed milk and 1/3 airy foamed milk. For this reason, cappuccinos are often considered the true test of a barista’s skills. If the barista is worth his or her stuff, your drink will have a low acidity and a delightfully rich and airy feel. Though the English term was first used in only 1867, variations on the latte have been a breakfast staple for centuries. It originated from the Italian phrase denoting milk coffee. However, this drink’s presence in cafes is a distinctly 20th century development. Lattes are served in the larger 8-ounce cup as compared to the cappuccino cups. To achieve the latte’s more creamy, velvet-like texture, you mix 1-2 shots of espresso with 5-6 oz of steamed milk. That mixture takes up about 5/6 of the cup and the thin layer of foam sits on top. While cappuccinos have their beautiful structure as a defining element, lattes often have equally impressive foam art on top. So if you’re at the coffee shop for a photo-op, order a latte. So as you may have guessed by our breakdown, the main difference in these drinks is these drinks is the ratio of the ingredients. With these, the barista must achieve a perfect balance of milk to espresso to foam. Both drinks have 1-2 shots of espresso (the second shot is more common in America because they generally use bigger cups). However, a latte will have more steamed milk, which is mixed into the espresso. Whereas, a cappuccino will have more foam and less milk, and the milk is not mixed, giving you defined layers. 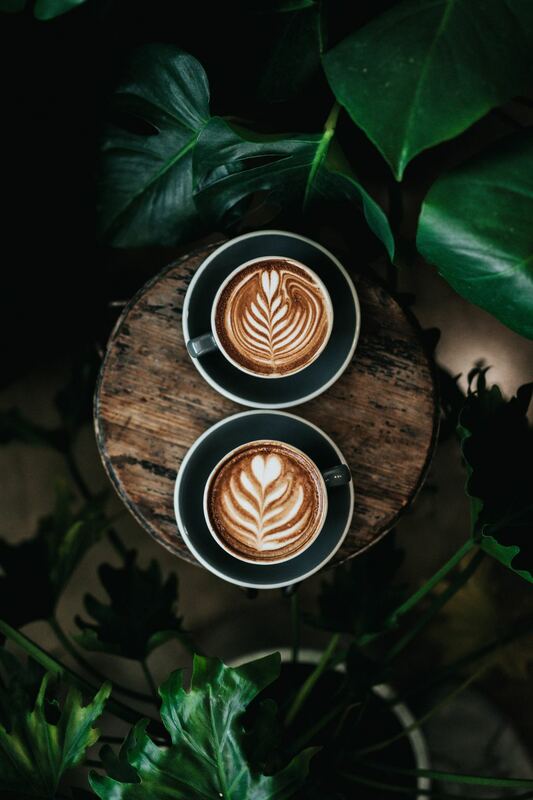 For this reason, a cappuccino is going to have a significantly stronger espresso flavor, both because it’s less mixed and it is less diluted by the steamed milk overall. It’s also going to be more crisp due to the defined layers and lighter foam. On the other hand a latte will be much creamer thanks to the denser foam and the increased portion of steamed milk. Thus, the espresso flavor will be more subtle. In order to really understand the difference between these two drinks, your barista (or you if you’re at home) must know what they’re doing. Unfortunately, in a lot of high-volume coffee shops they preparation of these drinks can be wildly inconsistent, making them even more difficult to differentiate. In coffee speak, that translates to fluffing and stretching the milk a little more when frothing to get it closer to that classic cappuccino texture. Both of these beverages are classic and delicious. So try both and get a feel for which texture and espresso strength fits your tastes.